South Africa's informal car guards were featured this week in the New York Times in an article that highlights the stories of the guards as well as the problems with this practice. It is a phenomenon that happens around the world. Latin America has them. Mexico City's informal parking attendants have been featured in various media. Last year I saw an informal car guard operating on a Sunday along a restaurant/market street in the beautiful Buenos Aires district of Palermo Viejo. They are widespread around Asia too. They were familiar when I lived in Malaysia for several years. My father-in-law, a police officer in Singapore in the 1960s, tells me that 'jaga kereta' (Malay for car guard) were also common in Singapore at that time. Informal parking attendants provoke polarized opinions. Car guards are often feared and loathed. But their existence also reflects serious unemployment and poverty problems, so that a draconian enforcement approach seems harsh and unfair. If parking in a vicinity is not managed efficiently by governments, informal fee collectors may step in, as seen in Bangkok, Jakarta, Kuala Lumpur, Manila, and some Indian cities. In Bangkok, Kuala Lumpur, and Manila such activities occur whenever and wherever the official fee collection system is absent but where demand remains high. So the car guard phenomenon is best understood as a sign of our failure to manage on-street parking properly. These guys are telling us something important. Where parking is saturated for long periods of the day, then motorists will be willing to pay for parking. If cities don't do the pricing, then informal attendants often will. Harsh action against them is futile (others take their place) and just hurts people who are already poor and marginalised. But the actions of illegal parking guards ARE often problematic. 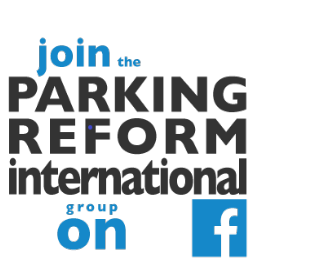 Wouldn't it be better to provide legitimate employment to legal parking attendants by improving and expanding legal parking fee collection systems? This would enhance the level of security and trust on both sides of the transaction. Indian cities are an interesting case. Most have legal parking attendants, providing employment and managing parking (after a fashion). That is a start. But with weak contractual arrangements and very low prices, the contractors are often tempted to overcharge. The City of Makati in Metro Manila does a better job, with uniformed attendants wielding digital devices. Arresting illegal parking attendants is not going to solve the problem. Filling the vacuum with legitimate parking management may. A Makati parking attendant with digital device. Do you have any insights or anecdotes on informal parking attendants or car guards? They have them in Bucharest, too. They're usually gypsies, and there's also an element of extortion to it – like, pay up, or else who knows what may happen to your car (although usually it's nothing). They tend to show up most often when you're trying to park an expensive car, which I guess is similar to the NYT article saying that events that attract white South Africans are more lucrative to work at than ones that attract black South Africans. Also in Bucharest there is, of course, little to no enforcement of on-street parking rules. It has nothing to do with allocating parking space, but with providing "security". As stephen said, it's extortion. If you dont give the guy money, whos to say when you get back your windows wont be broken? The government putting up a parking meter wouldnt change anything. Youre not paying for the spot, youre paying for your car to remain in its current form. James, I agree that informal car guarding is a petty protection racket. But it seems to depend on ambiguity. The protection racket element is there but everyone can half pretend that it is a payment for the spot and the service of being directed into a slot (however ineptly!). The efforts of many such guards to appear to be providing a service and to appear legitimate (eg giving out little tickets in some cases), reflect this ambiguity. I am not absolutely certain that expanding legitimate charging and management would end this practice. But I do have reasons for suspecting that it would. In Malaysia, car guards emerge only when the official pricing ends. I was told that the same happens in Bangkok and various other places. I guess this has some rationale based on the pretense of legitimacy which I mentioned above. I guess the 'guards' judge that their targets will not be willing to pay twice. It would undermine the illusion that this is anything but a protection racket. Funny that this matters but it seems to. In addition, city governments would quickly face pressure to put an end to such double charging. I am curious if South African or Mexican car guarding (or elsewhere) happens in the same places and at the same times as official parking pricing. Now the LA Times has featured Mexico City's version of this phenomenon. http://www.latimes.com/news/nationworld/world/la-fg-mexico-parking-meters-20120124,0,5904019.story Interesting, the point of the article is that "The franeleros, who block off spaces and charge a few cents per car, are being forced out by newly installed parking meters in an upscale Mexico City district." The franeleros are angry of course. Maybe a more labor-intensive Makati-style approach with more formal parking attendants would have been wise in a city with significant unemployment/under-employment? Paul, here in Rio, like in Mexico, we have "flanelinhas" who charge drivers for "guarding" their cars. Some are quite violent, and drivers pay not to having their cars damaged. Trying to "formalise" such jobs, the city began, some years ago, to sell parking tickets to a "Guards Syndicate". I was told (but have to check it) that the guards keep 60%, the syndicate 30% and the City only 10% of the revenues. Also, the fares are very low. It's true that guards are a part of a serious social problem related to "hidden unemployment", but that shows a total lack of a parking policy in the city.